Don’t look now, but gas prices are creeping up at an alarming rate. There is no way to predict the price of gas in the future either, which means it could go even higher. And if you have plans to drive to a lot of places this summer, you need to be smart about how you save on fuel costs. For many of you, high gas prices can put a dent in your wallet and affect your summer plans. You might cancel that road trip or decide to stay at home on the three-day weekends instead of going camping. Don’t let the cost of gas ruin your summer. 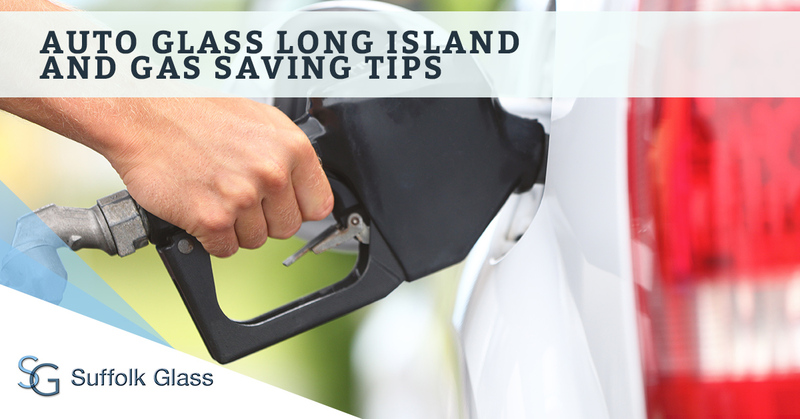 Suffolk Glass, your auto glass service on Long Island, offers you these tips on how to save gas. This seems like a no-brainer, but people have a difficult time figuring out just how to accomplish this. For one, you could combine the errands you run throughout the week so that you are making fewer trips into and around town. And instead of driving four or five blocks to run an errand, consider taking your bike, or walking even. When you find yourself at a railroad crossing waiting for the train to pass, you should turn off the car. This holds true when you are waiting in your car to pick somebody up who is running a few minutes late. Anytime that you are stopped for more than a minute, turning your car off will save gas. An engine that is all tuned up is more efficient and therefore gets better gas mileage. Take your car to the mechanic and have them tune it up. Check your air filter on a regular basis and change is when it becomes dirty. A dirty air filter makes your engine work harder and therefore use more fuel. A clean air filter helps your engine run more efficiently. We knew it gets hot in the car in the summer and you get much-needed relief cranking the air conditioner, but you waste a lot of gas when running it. Your best bet is to run it only when necessary and to roll down the windows to keep your car cooler. FedEx does this and the television series Mythbusters proved that is works. By making only right-hand turns when driving in the city, you stand to save on gas. Even if you have to drive a little farther in the process, it still reduces idle time and still saves gas. One of the biggest factors when it comes to fuel consumption is tire pressure. While the manufacturer might say 32-psi is good, putting a little more air in your tires will save you in gas. Even if you will suffer a little rougher ride it will be worth it. And remember to call Suffolk Glass when you have a broken or cracked windshield.